Our Air Shave Gel far exceeds the lubricity of any shave gel on the market. It simply doesn't dry out! 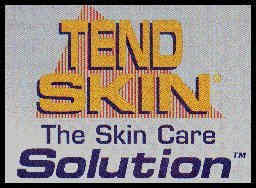 The gel is so effective at reducing friction, you will be less likely to cut or scrape the skin. This is important in minimizing ingrown hairs/razor bumps. Our gel will not only allow ease of shaving but it provides soothing relief for those with severe psoriasis or similar skin disorders with severe crusting or roughness.